Courtesy of Beyond Property Management. Stunning 21st floor condo situated along the Embarcadero and is located in the prestigious Bayside complex. The pinnacle of luxury living – full-service concierge, valet parking, sauna, pool, spa, fitness room, wine tasting room, theater, and more. 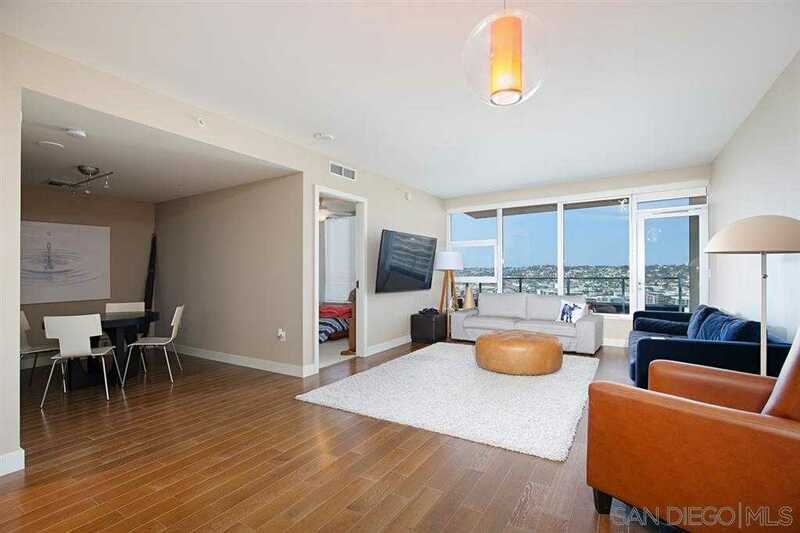 The interior is a modern open floor plan with upgraded SS Viking Appliances, beautiful Ceaser stone quart counter tops, premium view with floor to ceiling windows, and a private balcony overlooking Waterfront Park, the harbor, and Point Loma. Please, send me more information on this property: MLS# 190020038 – $1,088,000 – 1325 Pacific Highway 2106, San Diego, CA 92101. I would like to schedule a private showing for this property: MLS# 190020038 – $1,088,000 – 1325 Pacific Highway 2106, San Diego, CA 92101.